Find the hospital that's right for you and fill out an application. It's that simple. No login and password required. No hoops to jump through, no advertising messages popping up on the screen, no distractions. Our site is secure and you can be sure all your personal information is protected when you submit an application. What's more, you'll never receive any unsolicited emails from NurseUniverse.com. NurseUniverse is here when you need us - we don't need to come after you. Our service is built around the concept of "One Application for One Hospital". We'll never send your information to any hospital other than the one you choose. We never "blast" out applications to our clients, so you won't be pestered by dozens of recruiters calling from around the country. There's really only one thing to do here, that's find your next great job. Collom & Carney - Collom Carney Health Care Clinic Texarkana, Texas. Looking For a Nursing School? Don’t have a certificate in nursing? Want to continue your nursing education? NurseUniverse.com has school programs available for you! 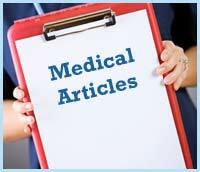 We have listings of quality Nursing Schools that have Nursing Educational Programs for the entire spectrum of training for a career in Nursing. 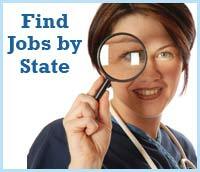 CNA, LPN, RN, Specialization, and RN\BSN Educational Programs. No matter where you are located, or if you want to try some online programs, we have what you are looking for. 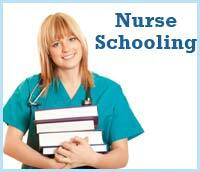 Visit our Nursing Schools section for more information. A forensic nurse may be part of the team that charges into exam rooms, in trauma cases like gunshot victims. At the same time the trauma staff checks vitals and looks after the patient's needs, the forensic nurse is also functioning but in a different way. Forensic nurses collect and label clothing and belongings, record injury patterns, and listen for statements the patient uttered in an excited tone that may suggest who the offender is. Symonds explains that as forensic nurse they gather evidences, take pictures of injuries, however they leave the medical treatment to the trauma team. "We can get in and out without getting in the way. You can't have your staff who is giving the care and addressing their physical needs also be able to collect evidence." Is Nursing on the Rise in Canada? Is nursing booming or stalling in Canada? While the country's supply of nurses has not yet returned to its former levels before health care budget cuts in the 1990s, it appears as if the nursing workforce is growing. Studies on the availability of nurses in Canada demonstrate that while the number of nurses is increasing once more, the relative percentage of nurses to the population is smaller than 20 years ago. The Canadian Institute for Health Information (CIHI) collected nursing data from 2005 to 2009 and reported that Canada has a little over 266,000 registered nurses (RNs). However, their relative number is shrinking, unable to keep up with the growing medical needs of the country. In 1992, there were 824 RNs for every 100,000 Canadians, but in 2009 there were 789 RNs per 100,000 Canadians. Washington Hospital Center's nurses decided to cancel a one-day strike that the union had planned for the day before Thanksgiving. Hospital management agreed to postpone controversial wage cuts. Both parties issued a joint statement that announced an agreement to resume negotiations yesterday, November 29 with the help of a federal mediator. Talks will continue over the next 90 days without the threat of a strike. Hospital managers also agreed to recognizer National Nurses United as the collective bargaining representative of its 1,600 nurses working at the Center, which is the region's largest private hospital. "We are actually very delighted with this arrangement," said Janis Orlowski, the hospital's chief medical officer. Copyright © 2013 NurseUniverse.com and Vertical Alliance Group, Inc. All rights reserved.